Squash’s bid for a place in the 2020 Olympics receives a massive boost on Saturday (20 October) when some 40,000 players are expected to take part in a massive worldwide competition on World Squash Day. 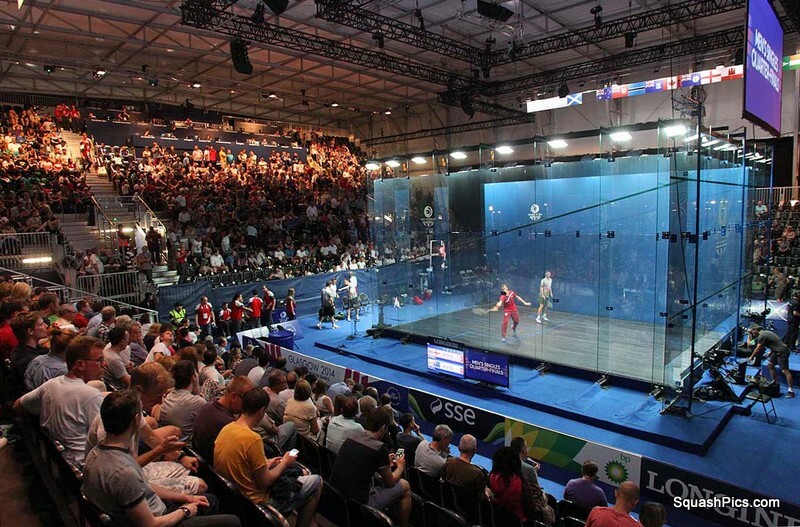 The biggest fixture in the history of the sport has a 2020 theme as World Squash Day is dedicated to supporting the World Squash Federation bid for a place in the 2020 Olympic Games. More than 750 squash clubs all over the world – representing 72 nations from Argentina to Zimbabwe – will be taking part in the World 2020 Challenge. Each club will field two teams of 20 (often more) representing Team Squash and Team 2020. Fitness, stamina and skill will be put to the test as players compete in each individual tie, playing one game up to 20 points. Each club score will count towards an overall global result. “With two days to go more almost 40,000 players have already registered to take part in the event, demonstrating significant global support for squash’s Olympic bid,” said World Squash Day founder Alan Thatcher. As well as clubs large and small, the world’s leading professionals – led by England’s James Willstrop and Nick Matthew, the world’s number one and two, respectively – are backing the bid with a special World Squash Day event taking place during the new PSA NetSuite Open in San Francisco, USA, on Saturday. 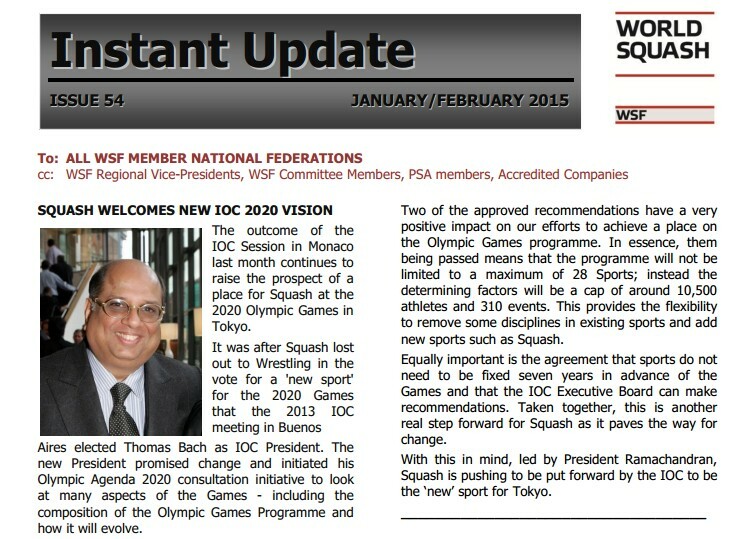 WSF Chief Executive Andrew Shelley said: “This impressive level of support proves conclusively that the worldwide squash family is right behind the Olympic bid. “There is a heart-warming contrast in so many of the clubs taking part, from small buildings located in rural locations to plush, city-centre clubs. World Squash Day will be celebrated throughout Asia, with events in China, Hong Kong, India, Indonesia, Iran, Japan, Korea, Malaysia, Nepal, Pakistan, Philippines, Singapore and Thailand. African nations taking part include Malawi, Namibia, Nigeria, South Africa, Tanzania, Uganda and Zimbabwe. Arab nations include Egypt, Iraq, Israel, Jordan, Kuwait, Lebanon, Qatar, Saudi Arabia and UAE. More than 50 events are taking place across Australia, plus many more in New Zealand, where The Datsuns’ drummer Phil Buscke, a keen squash player, is throwing down a challenge to members of the All Blacks rugby team to get on court. Four years ago, Buscke publicised the previous Olympic bid with a televised bungee jump off Auckland Harbour Bridge. Across North, South and Central America, competing nations include Argentina, Brazil, Canada, Colombia, Costa Rica, Ecuador, Mexico, Peru, and USA. 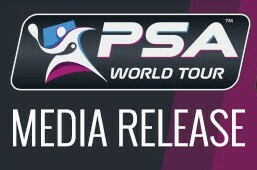 World Squash Day activities will feature in the new men’s PSA World Tour event in San Francisco, where a 20-up College Challenge will take place on the glass court by the San Francisco waterfront between Stanford University and California University-Berkeley and University of Southern California.  European nations include Armenia, Belgium, Czech Republic, Denmark, England, Estonia, Finland, France, Germany, Greece, Holland, Hungary, Iceland, Ireland, Italy, Jersey, Liechtenstein, Lithuania, Luxembourg, Malta, Norway, Poland, Portugal, Romania, Russia, Scotland, Slovakia, Spain, Sweden, Switzerland, Ukraine and Wales.  Exotic island squash outposts include the Bahamas, Bermuda, British Virgin Islands, Cayman Islands, Cook Islands, Norfolk Island, Trinidad and Tobago, plus St Vincent and The Grenadines. 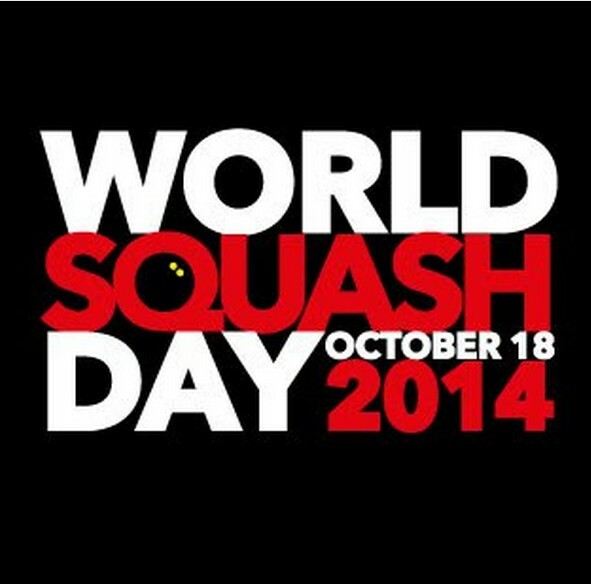 WORLD SQUASH DAY 2014: GO FOR IT!